Observation - Elm (through the seasons) - UK and Ireland. 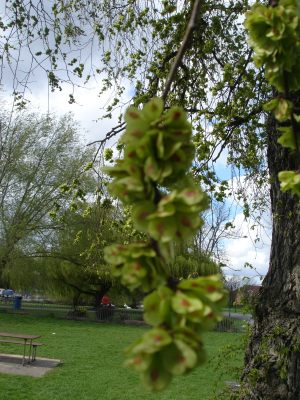 Description: An elm growing in the children's play area at Christchurch Playing Fields in Reading. The young leaves (from a basal sucker) and seed pods were taken on 07/04/09, the old leaves/buds and tree in winter on 26/11/09 and the flowers on 28/03/10. An elm growing in the children's play area at Christchurch Playing Fields in Reading. The young leaves (from a basal sucker) and seed pods were taken on 07/04/09, the old leaves/buds and tree in winter on 26/11/09 and the flowers on 28/03/10.